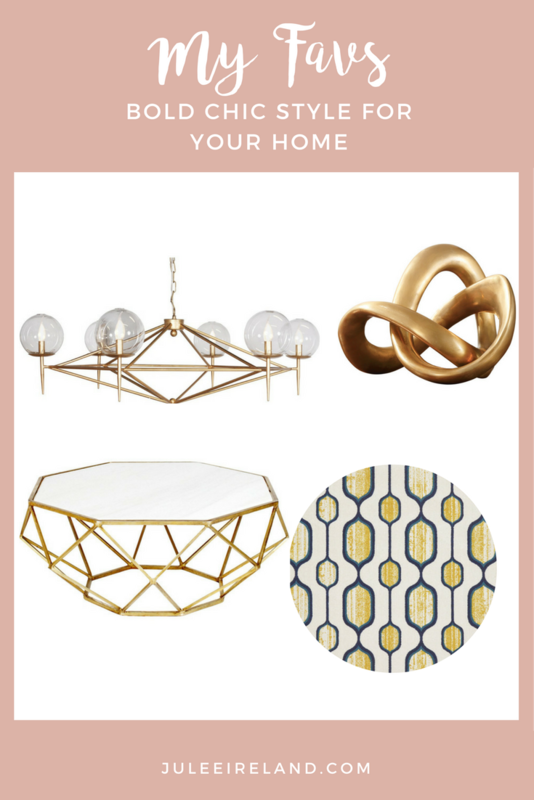 This week I’m sharing with you how just one bold and colorful pattern in your design can make a statement and accentuate your other pieces without being over the top and still being très chic. The Town Area Rug is the perfect piece to show some personality and flavor. 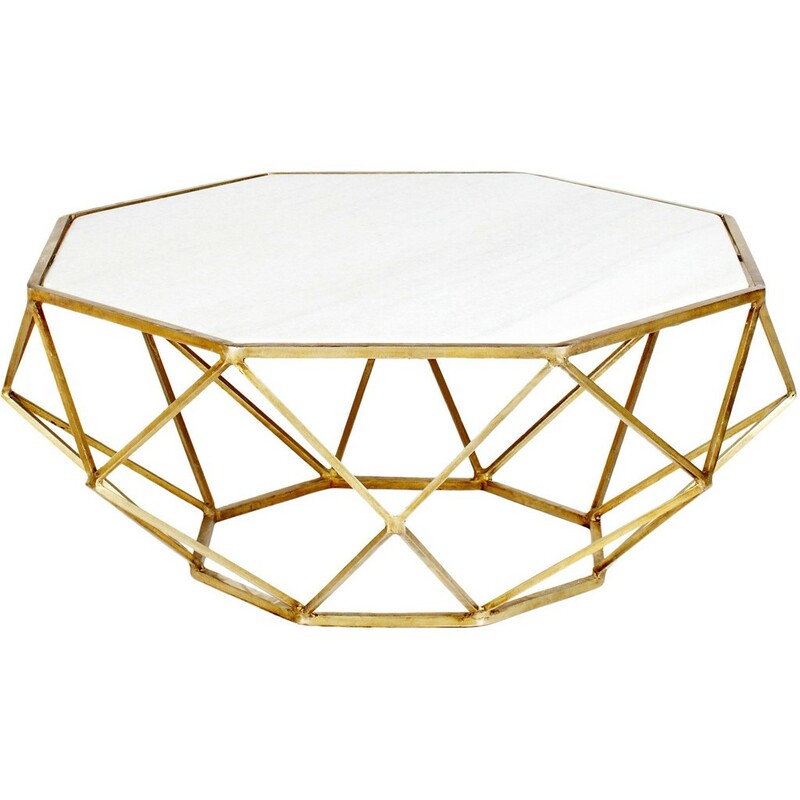 The Edmore coffee table is crafted from an iron frame that has been treated in a gold-leaf finish. The coffee table is topped with a smooth, marble top. The Alresford is made of solid brass that has been curved and contorted into a twisted sculpture. 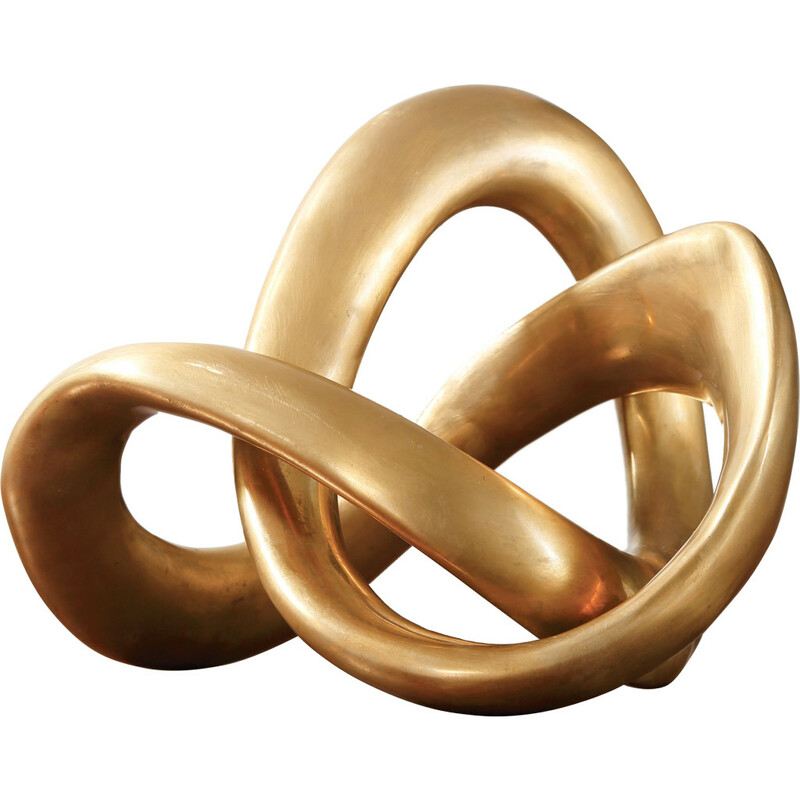 The infinity knot shape is abstract and visually pleasing. 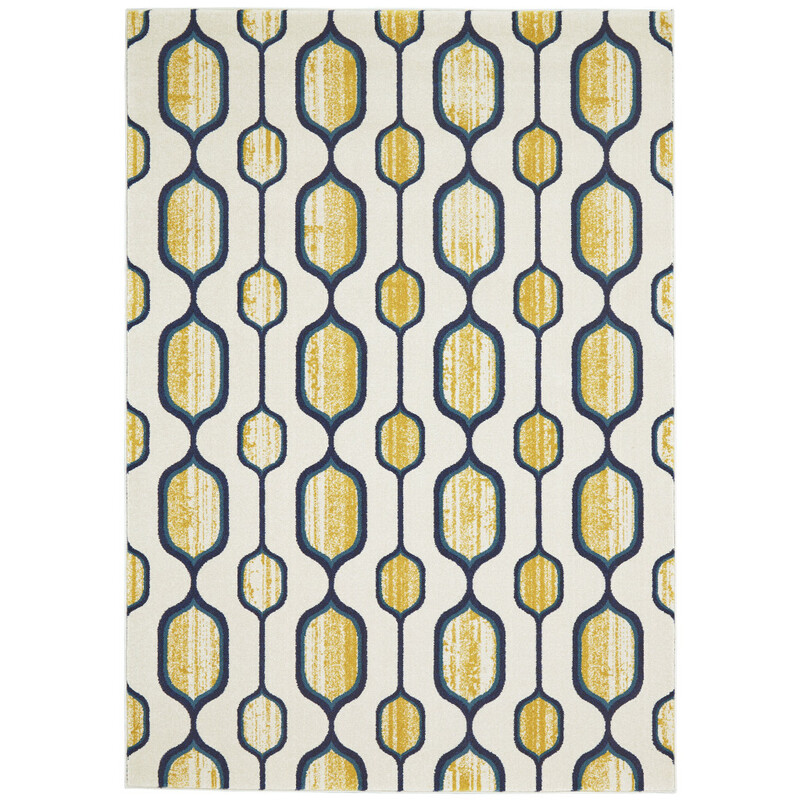 The Town rug combines modern flair with bold pops of color. The design includes geometric patterns and lines complemented by shades of yellow set on a neutral gray backdrop. The yellow hues fade across various parts of the design creating a soft watercolor effect that is visually stunning and elegant. 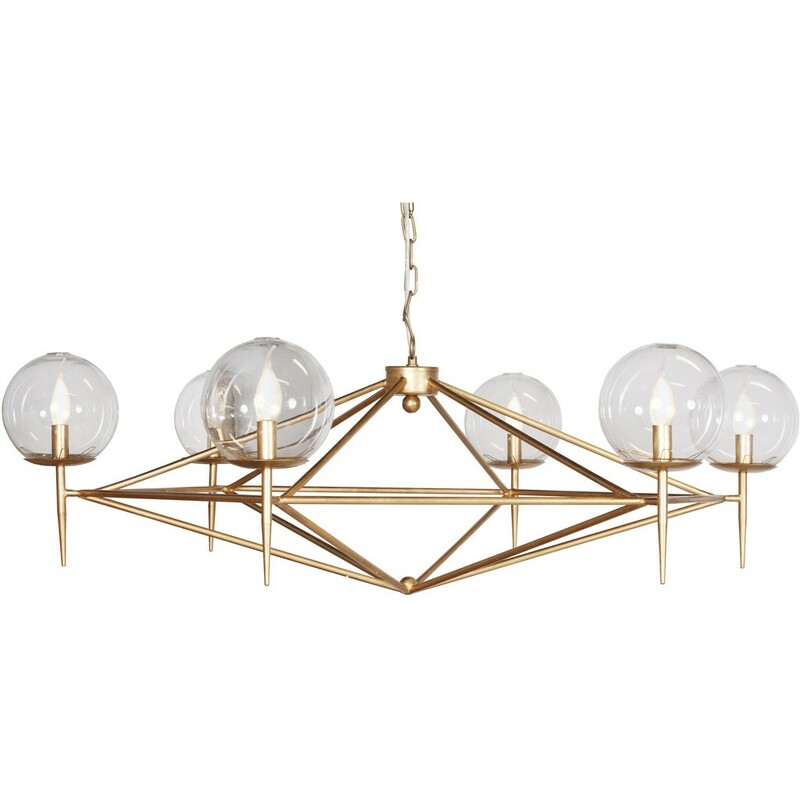 The Akumal pendant is crafted from a gold leaf frame, and features hand blown glass bulbs. The fixture uses six 40 watt chandelier bulbs. It also comes with a matching 5′ chain and canopy.